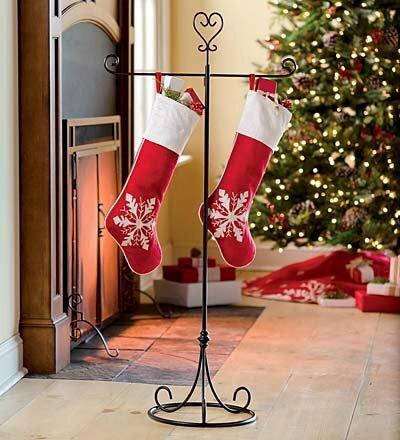 Christmas stocking holder stands are the best alternative ever for people who do not have fireplaces or staircases. Growing up, our apartment had neither of these items and I am pretty sure my parents always ended up using those screw in hooks that leave gaping holes in your wall. But no matter what, we had Christmas stockings every year. Unlike some households, we always were allowed to look at the gifts in the stockings on Christmas Eve which would help tide us over until Christmas morning. In other words, the stockings had to be hung somewhere no matter what. 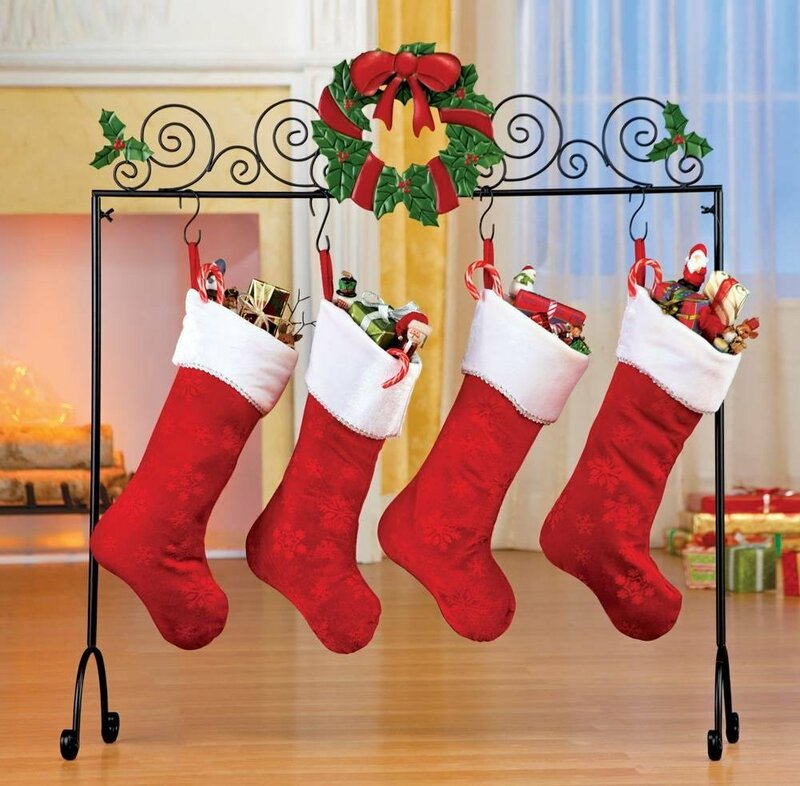 I think the stocking holder stands are a great way to get all your stockings up without having to comprise the integrity of your wall or find other inconvenient ways to get filled stockings up. Not to mention that these stands can hold heavy stockings without you having to worry about them falling off the mantle during the day/night. Families with little ones in the house could help prevent accidents because nothing is worse than having a child pull at the bottom of a stocking and having the mantle fall off. Heads and metal objects simply do not mix. Check out more stands here. I like the fact that some of the Christmas stocking holder stands do not have to be placed on the floor but can festively be placed on the table or even on mantles out of the way of wondering hands. This also allows for goodies to be kept away from nosy pets. My coworker has three dogs, a toddler, and a newborn. She uses the holder stands on a decorated mantle in her living room where only the adults can reach. They can also be easily pulled down whenever there is something to be added to it or when it is time for presents to be opened. These stands are great for hanging a number of stockings and can add to your current holiday decor. People who have friends and family visit for the holidays could also pull them out as a quick way to hang up some stockings when other options may not be available. Many are built out of wood or metal and have great staying power. You could use them year after year without any issues. 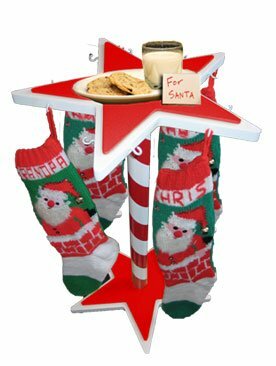 Personally my favorite is by far the Stocking Caddy Christmas Stocking Stand because of the flat base on top which allows items to be placed on top of it. We always left cookies and milk out for Santa so the fact that this holder tailors to that by having a special place for children to participate in the tradition is wonderful. How do you prefer to hang your stockings? ← An Upside Down Christmas Tree – WHAT? !